Leading organization for the Latinx|Hispanic|LGBTQ community since 2002. 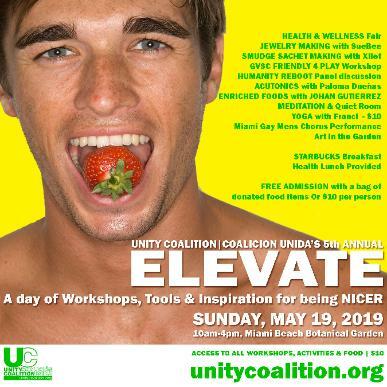 UNITY COALITION|COALICION UNIDA is a 501c3 corporation registered in the State of Florida. de Sara-Mana; Miami Masquerade Ball; Generacion Q and Gen Q are property of and registered to Unity Coalition|Coalicion Inda, Inc. 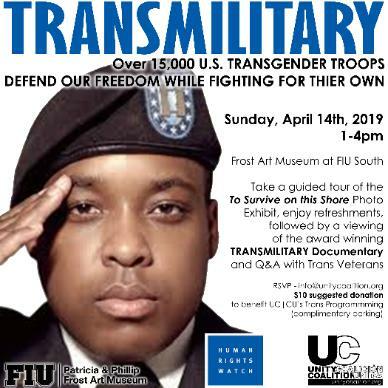 In partnership with TransMiami,Trans SOCIAL, Arianna's Center, Trans Tech Hub & QUEST Workspace. May 19, 2019 | ELEVATE Workahops. A Day of Being NICER.